Using Art-Based Chemistry Activities to Improve Students’ Conceptual Understanding in Chemistry Danipog, D.L. & Ferido, M.B. (2011). Journal of Chemical Education. 88(12), 1610-1615. This research study focused on determining the effects of Art-Based Chemistry Activities (ABCA) on high school students’ conceptual understanding in Chemistry. This was participated by 64 third year high school students from two sections of a science high school. It was concluded that ABCA incorporated during instruction may improve students’ understanding in Chemistry. This research will provide Chemistry teachers with artistic activities for use in the Chemistry classroom that will help improve students’ conceptual understanding in Chemistry. 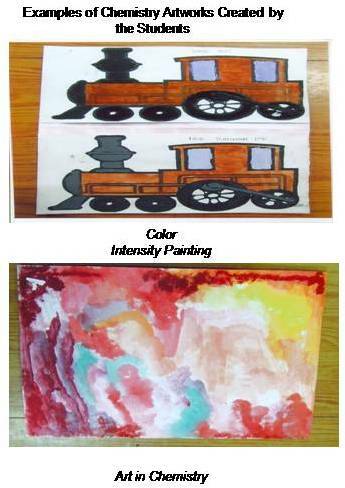 Moreover, it will help teachers learn the process of art instruction in Chemistry which might help them to be more innovative and responsive in addressing the diverse needs of students. 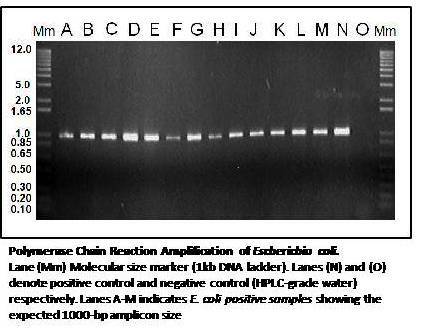 Conventional Isolation and Polymerase Chain Reaction Assay for Detection of Escherichia coli O157:H7 from Philippine Bats Italia, J.T., Rovira, H.G., Masangkay, J.S., Yoshikawa, Y., Perez, M.T.M.,Reyes, A.W.B. and Baticados, W.N. 2012. Veterinarski Arhiv. 82 (3): 283-294. The prevalence of E. coli in bats was reported in several countries. However, the presence of EHEC in these animals had not been proven. Since bats have been associated with many zoonotic diseases (OMATSU et al., 2007) and recently Salmonella spp. have been detected on these animals in the Philippines (Reyes et al., 2011), the present study was conducted to isolate and detect E. coli from the intestines of Philippine bats and to confirm if the isolates were of E. coli O157:H7 serotype. The study aims to determine if bats can serve as carriers of this pathogenic serotype and therefore, to identify their role in disease transmission. The study reports the first local isolation and PCR detection of E. coli from the intestines of Philippine bats. The two methods when compared revealed no significant difference and were related. The data gathered revealed that Cynopterus brachyotis, Ptenochirus jagori, Scotophilus kuhlii, Eonycteris spelaea and Rousettus amplexicaudatus harbor E. coli in their intestinal tract while no E. coli was recovered and detected on all the three Pipistrellus javanicus captured. All of the isolates were confirmed to be not of the E. coli O157:H7 serotype using the latex agglutination test and PCR assay. Furthermore, all of the confirmed E. coli isolates were observed to be negative for hemolysin production. Generally, the data indicates that Philippine bats were not carriers of the pathogenic E. coli O157:H7 serotype. Sequence diversity of the infectious hypodermal and hematopoietic necrosis virus (IHHNV) in cultured shrimp populations in the Philippines.Caipang C. M. A., Sibonga M. F. J., Geduspan J. S., Apines-Amar M. J. S., 2011. AES Bioflux 3(3):272-279. This study identified the partial sequences of the capsid protein gene of a Philippine isolate of infectious hypodermal and hematopoietic necrosis virus (IHHNV), a single-stranded DNA virus that infects both wild and cultured shrimps. The sequence of the capsid protein gene of Philippine IHHNV was compared with the sequences of the same gene of IHHNV isolates from other geographical regions. Results showed that Philippine isolate of IHHNV shared 96-97% homology with other isolates. Phylogenetic analyses was carried out and showed that the capsid protein gene of the different IHHNV isolates did not cluster in terms of geographical location, indicating the widespread distribution of the virus. Furthermore, the IHHNV isolate from the Philippines showed high genetic diversity among the isolates compared. A sequence from IHHNV-infected shrimp collected from Central Philippines did not cluster with other Philippines isolates and could represent a distinct isolate. The results of the study showed that IHHNV has a high evolutionary rate thus, strict monitoring of the movement of shrimps among geographical regions is necessary to prevent occurrence of future disease outbreaks caused by this virus. Effects of dielectric barrier discharge plasma modification on surface properties of tropical hardwoods at low pressure Acda MN, Devera EE, Cabangon RJ, Pabelina KG and HJ. Ramos. 2012. Journal of Tropical Forest Science 24(3): 416-425. Oxygen plasma was successfully used to modify surface properties of the Philippine hardwoods. The study showed that plasma at low pressure was capable of cleaning and etching wood surface removing loose fibers and other contaminants. Exposure to the plasma gas also increased surface polarity of wood species investigated. The increased surface polarity could have positive effects on the development of strong joints during gluing of wood or better adhesion of paints and other coatings. This development is good news for the forest products industry who stands to benefit from this new technology. Effective health management in shrimp hatcheries: use of loop-mediated isothermal amplification (LAMP) for the rapid detection of Philippine isolates of Penaeus monodon-type baculovirus (MBV). Caipang C. M. A., Sibonga M. F. J., Geduspan J. S., Apines-Amar M. J. S., Calpe A. T., 2011. ABAH Bioflux 3(1):78-85. Partial genomic DNA sequences of a Philippine isolate of the Penaeus monodon-type baculovirus (MBV) was identified. It was found that the local isolate of MBV shared 87% homology of their nucleotides with the partial sequences of MBV isolates from other Asian countries, specifically Taiwan and India. Moreover, the sequences of the genomic DNA from the Philippine isolates clustered together and were distinct from either the Taiwan and Indian isolates. A new set of primers that yields an amplicon size of 193-bp was designed from the least conserved region of the partial sequence for the specific detection of the Philippine isolates of this virus.